When it comes to movies, most sequels never quite measure up to their predecessors – but there are always exceptions. Take for instance, Star Wars, the original trilogy. The second movie – The Empire Strikes Back – was unquestionably better than the first and apart from the Ewoks in Return of the Jedi, the third film, is a toss-up with The Empire Strikes Back for best of the three. What does this have to do with TAVES? 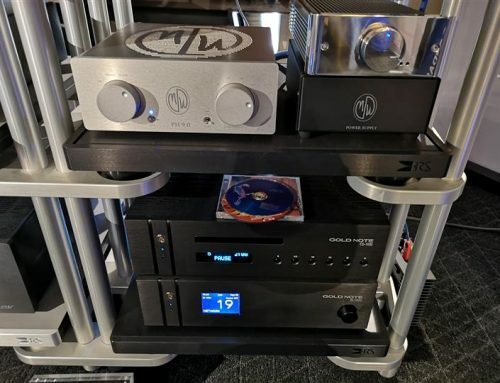 Well, on November 1st the third edition of TAVES kicked-off and I can say, after having attended all three, that this year’s show did not disappoint – in fact, I’d say it was the best show yet. TAVES 2013 was run over three days (November 1st to 3rd) and hosted, once again, at the prestigious King Edward Hotel (better known as the King Eddy). Versus last year’s show – TAVES 2013 was larger with more exhibitors; it was move diverse – having a greater mix of stereo and multi-channel systems; it hosted many leading-edge video products, including 4K/Ultra HD and OLED TVs as well as the Sony PlayStation 4 prior to its official release; there were also more seminars this year; and everything seemed to run like a well-oiled machine. 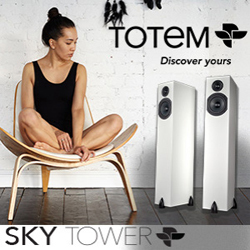 Though last year had no shortage of affordable consumer products – TAVES 2013 took it up another notch with more lifestyle products that surely garnered greater appeal with the current generation of consumers attending. It was very apparent that attendees were also more diverse than ever before – definitely more youth and more women, and not just tagging along with a male companion but clearly interested in the show themselves. I even saw at least a couple daughters with their fathers shopping for their next system. All of this underlined the fact that TAVES is not just another audiophile or even audio/video show but rather a consumer electronics and entertainment event. Overall this year’s show appeared to be very well put together and the staff was as professional, courteous and helpful as ever. Over the course of the show, it was clear that attendees, along with the exhibitors, were enjoying themselves as I could make out from discussions in the elevators, hallways and rooms. Once again, TAVES seemed to draw a healthy crowd – well attended but never over-crowded – making for an easy time navigating the hallways and exploring all that the rooms had to offer. 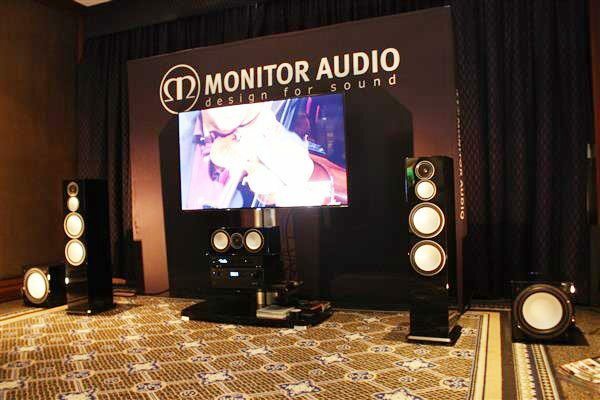 On that note, let me share with you just some of the highlights of TAVES 2013. Walking into the King Eddy, the sight of Harley Davidson motorcycles was definitely an attention grabber. To the patrons, guests and residents of the hotel, I’m sure this was a welcome display as much as it was for the TAVES show attendees. 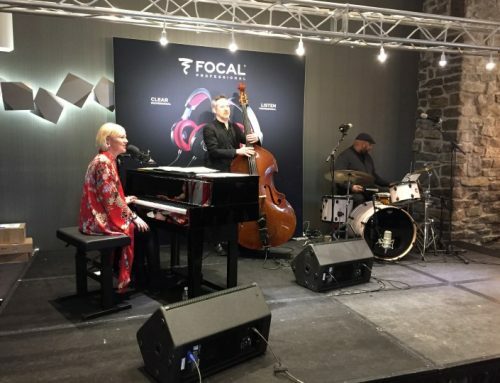 Perhaps some might have questioned what motorcycles had to do with an audio/video show but the answer was quite clear to me – TAVES isn’t just an audio/video event but also an entertainment show – and what’s not entertaining about motorcycles. In addition, anyone asking the friendly staff of Deeley Harley-Davidson about the bikes would soon find out another connection – that being Harley-Davidson’s Infotainment system, a technology that lets the rider easily control the GPS, 2-way helmet communication and the on-board music system. 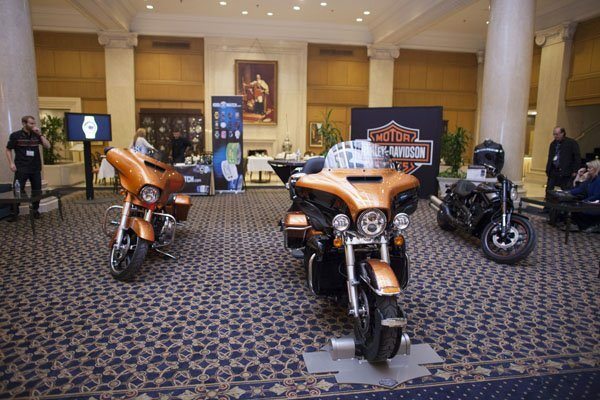 The bikes on display were all 2014 models and two of them featured the Infotainment system. The Ultra Limited motorcycle sported an Infotainment system with a colour 6.5” in-dash touch display, a 25 watt/channel 4-speaker audio system, as well as Bluetooth and USB connectivity. There were four motorcycles in all: a $29,529 Ultra Limited with an amber whiskey & black paint treatment, 1690cc high-output, v-twin engine with a liquid cooled head; a $26,249 Street Glide Special, also in amber whiskey with a v-twin 1690cc air cooled engine; a $12,819 Fourty-Eight with a 1202cc v-twin and keyless start that sported a gorgeous hard candy chrome flake custom paint; and finally a sinister looking, low slung $18,579 Night Rod Special with a 1250cc liquid cooled 125hp engine. Making things just a little more exciting was the fact that Harley-Davidson offered a contest for a $100 gift card during TAVES. Still in the main lobby, towards the back of the Harley-Davidson motorcycle display, I found a table with some unique and “kool” watches from a new company called Kool2Watch. 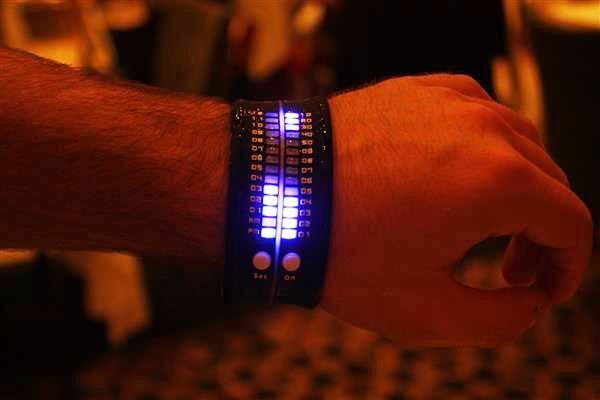 The Kool2Watch centerpiece was a colorful flexible self-wrapping band with two rows of LED lights that allow you to read the time. The gentleman at the table was quick to prove the watch’s waterproof prowess by dunking it in a cup of water, while working the LEDs that show the time. This watch was selling for $125 but there were also three other brands on display, including those with e-ink display priced between $115 to $200, Finland designed watches with Japanese movements priced between $150 and $250 and finally, a watch that uses moving discs rather than hands to show the time, also priced between $150 and $250. When I asked for the name of the brands and models, I was told that readers would have to wait to hear more on the www.kool2watch.com website, sometime between the end of November and early December 2013. Heading upstairs to the second-floor, the first room I stumbled upon was that of American Sound of Canada. Within the room there were two active systems – one being a two-channel music system and the other being a full 5.1 home theatre setup with a projector. The two-channel system consisted of Raidho Acoustics S2 tower speakers ($15,000/pair), driven by Aragon Iridium differential monoblock amplifiers ($4,500/each), controlled by a Bel Canto DAC 2.5 running as a preamplifier paired with an AudioQuest Dragonfly USB DAC ($199) that was connected to a Macbook Pro running iTunes. Cabling was all by AudioQuest. Given the timing of my visit, I only got a couple minutes to hear this system in play but what jumped out was its clean and detailed portrayal of music. The 5.1 system was comprised of Focal 1038 Be speakers (front) and 1028 Be speakers (rear-surround) paired with an Electra cc 1008 Be centre and a single Electra 1000 Be 12” subwoofer. Cabling here was also all AudioQuest. The source was a Cambridge Audio Blu-ray player feeding a NAD Master Series M15 HD processor controlling an Acurus 2007 amplifier (7 x 150 watt). I saw a Blu-ray of a live Jeff Beck concert, while I was there. The sound was tight and energetic but not fatiguing, with a second row type of presentation. 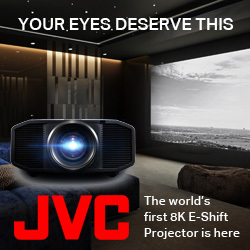 Though the projector here was a SIM2 M.150 retailing for $32,000 casting its picture on to a DayLite 100” screen, I wasn’t quite taken by the image quality – perhaps a little more setup was needed. 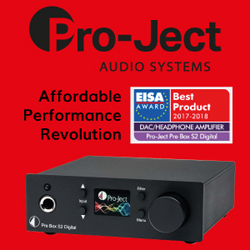 Also in the room, on static display, were some more affordable products, the likes of Bellari tube phono preamplifiers VP130 / VP530 and Olasonic desktop products. Entering Kevro International’s room, the distributor for Monitor Audio, Cyrus Audio, Clarus and Tributaries, I was happy to see two featured systems setup for demonstration: a two-channel system pairing Cyrus Audio electronics with Monitor Audio Platinum Series loudspeakers and a 5.2 channel system showing off Monitor Audio’s new, 5th generation Silver Series loudspeakers (first time Canadian demo). 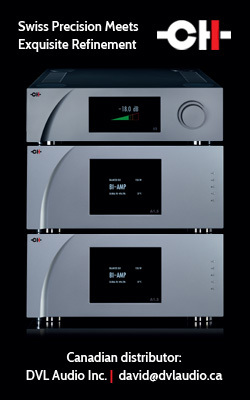 The two-channel system had a dual source, involving Cyrus Audio’s CD t compact disc transport ($1,499) and the company’s Stream X2 digital file player/streamer connected to a NAS drive. The preamplification was via a Cyrus Pre QX DAC ($3,199) with the DAC section running off a PSX-R independent power supply ($1,199). 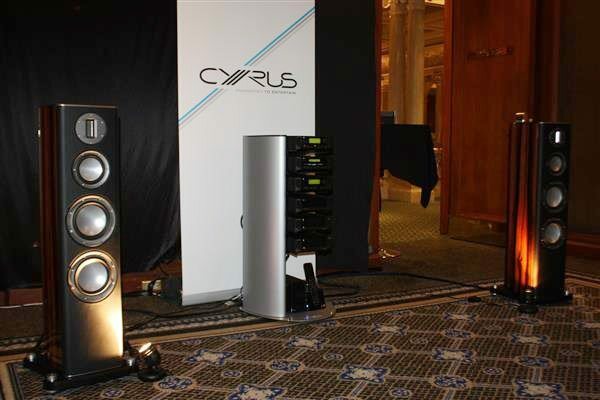 Amplification came from a pair of Cyrus Signature X200 mono-blocks ($3,700/each). The speakers in this system were a lavish set of Monitor Audio Platinum PL200 towers ($9,200/pair), delightfully appointed with leather covered front baffles and a high-gloss premium veneer. 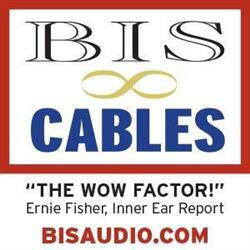 Cabling was all Clarus single-crystal copper with Aqua speaker cables ($1,650/pair). What I heard was rich, yet detailed with a lovely lightness to the cymbals. I could have easily spent much more time listening but had to turn my attention to the 5.2 system, which was sporting the new 5th generation Monitor Audio Silver Series speakers (North American launch – ready for shipping). This new series now uses one-piece C-CAM drivers (no more dustcaps), much like the Gold and Platinum series. I found the look cleaner and more upscale. These new drivers, together with a greater isolation of the tweeter assembly are claimed to provide increased performance. The Silver 8 ($2,299/pair) and Silver 10 ($2,799/pair) models now use a 4” midrange driver, much like the Gold and Platinum series, which should also improve midrange definition. Though not on demo, the new Silver 6, the best-selling model in the series will be priced at $1,699/pair. 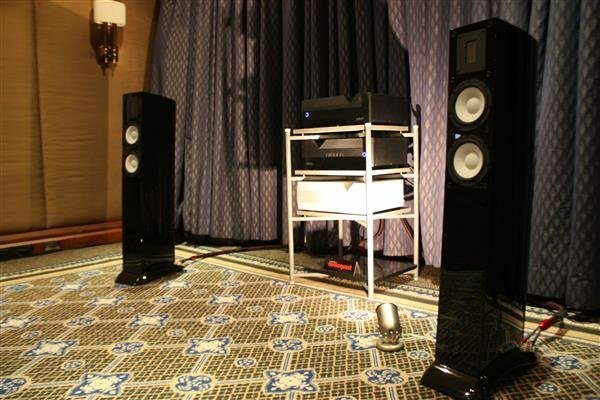 The system being demoed used a pair of Silver 10 towers ($2,799/pair), with the Silver Centre ($799), the Silver FX surrounds ($999/pair) and dual new Silver Subs ($1,699 each). The new subwoofer incorporates a room optimization system with a setup mic that uses an integrated proprietary DSP. 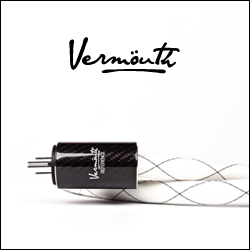 This system sounded tight and punchy with a sound that will likely satisfy many looking for an immersive and involving home theatre experience. 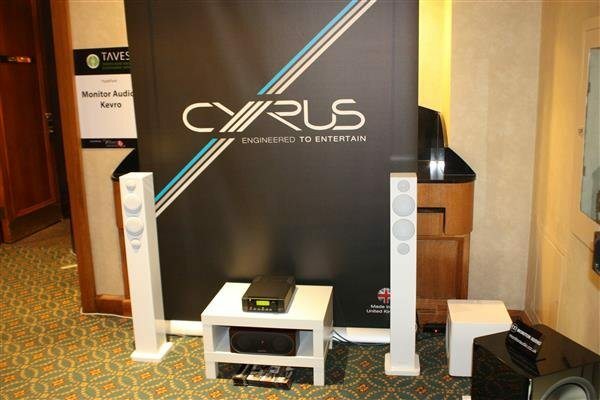 Also in the room, was a North American debut of a new Cyrus all-in-one system – the Lyric 9 (£3,000) / Lyric 5 (£2,250). Lyric will provide a full remote control, 32-bit DAC, iDevice plug, CD player and proprietary 175 watt Class D, DSP adjusted amplification. Erikson Consumer was hosting two side-by-side rooms that I visited. 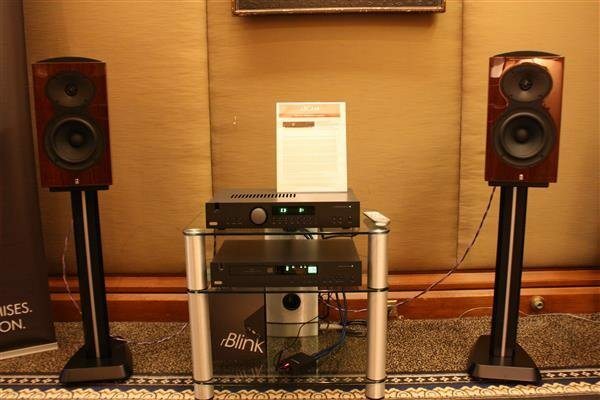 In the first was a wonderful sounding Revel / Mark Levinson pairing, using Revel Ultima2 Salon2 towers ($24,500/pair) and Mark Levinson No. 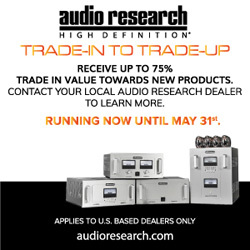 53 mono-block amplifiers ($28,750/each), with a brand new two-box Mark Levinson Pre No. 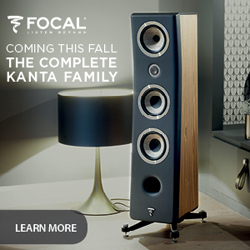 52 ($34,000, Canadian debut), No.512 CD player ($16,400) and XLO Reference 3 speaker cables ($1,200/pair). I found the sound wonderful – very transparent, exceptionally smooth and natural with a large room-filling presentation, like I’d expect from a system that approached $140,000. On static display was the new Revel Ultima2 Rhythm2 subwoofer (first time Canadian showing) – a very impressive 15” full dual coil subwoofer with 2 x 1000 watt (RMS) amplifiers and 10-band DSP equalization ($11,600). Also, in this room, was the Performa3 Series (Canadian debut) with a new waveguide providing better integration and dispersion. 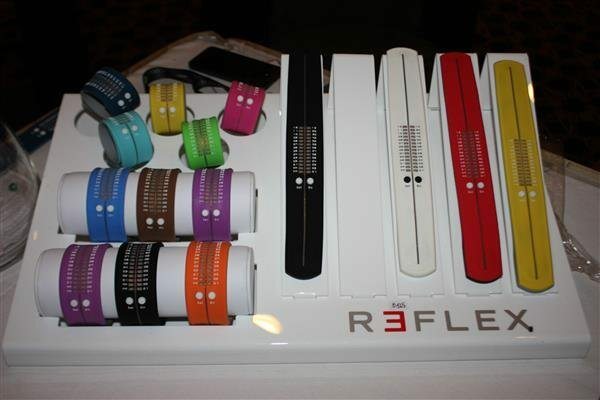 Models shown included the F208 ($5800), F206 ($4,000), M106 ($2,300), M105 ($1,750), C208 ($2,300) and C205 ($1,150). The new Performa3 Series subwoofers were also on display including the B110 ($2,300) and B112 ($3,600), both featuring a built-in DSP and offering 1000 watts (RMS). 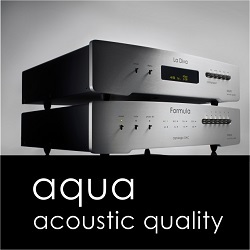 All Performa3 series are offered in a walnut veneer or gloss black with the smaller models also available in white. 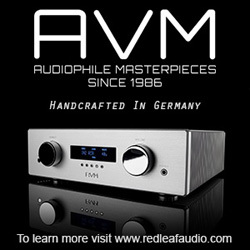 In the second Erikson room I found a much more affordable $5,000 two-channel system with the Arcam FMJ A19 50 watt/channel integrated amp ($1,099), the FMJ CD17 CD player ($999) and the new Revel Performa3 M106 bookshelf speakers ($2,300/pair) on matching Revel stands ($575/pair). On static display and shown for the first time in Canada were the Arcam rDock-uni ($319), rBlink Bluetooth DAC receiver ($259), rLink co-ax/optical ($259), rDAC USB DAC & headphone amplifier ($259), a new irDAC ($749) and a new airDAC with Apple Airplay ($749). A Revel Performa3 Series / Arcam 5.2 channel system was also being demonstrated in this room – comprised of the Arcam FMJ 750 receiver (7×100 watts; 30 watts/ch in Class A) featuring an iPad app controller ($6,200); the FMJ 300 Blu-ray player ($1,599) and the Performa3 F208 (fronts); B112 (subs); C208 (centre) and F206 (rear). Making my way around the second-floor, I found Samsung Electronics with an impressive visual display of new products, ranging from cameras to some of the largest TVs available today. A key highlight in this room was the 55” curved screen OLED pre-production model 59C. The production model is set to be released by 2014 at an expected price of $9,999, including two pairs of active 3D glasses. 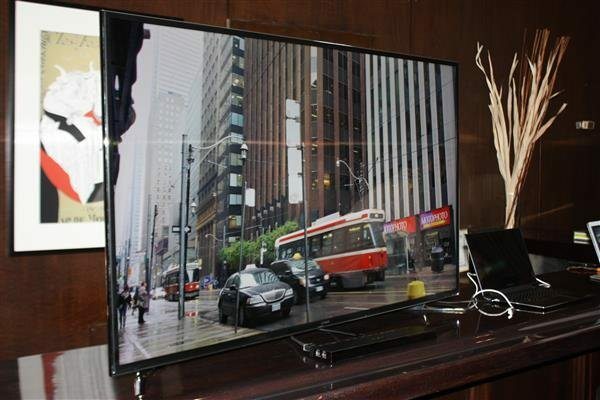 The curve of the screen is designed to provide a more immersive visual experience as well providing aesthetic elegance. Most interesting was this display’s ability to show two HD/1080p programs simultaneously by using active shutter glasses. Simply put, two individuals watching the screen at the same time could be watching two totally different shows in high-definition video. I tried this myself with a pair of the active shutter glasses. 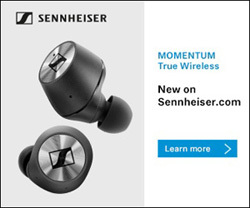 By pressing a button on the glasses, I could flip back and forth between two different video programs, while hearing the associated audio with each, through integrated earphones. Along with being incredibly impressive from an image quality standpoint, this functionality will surely be embraced quickly by anyone with a roommate or significant other. 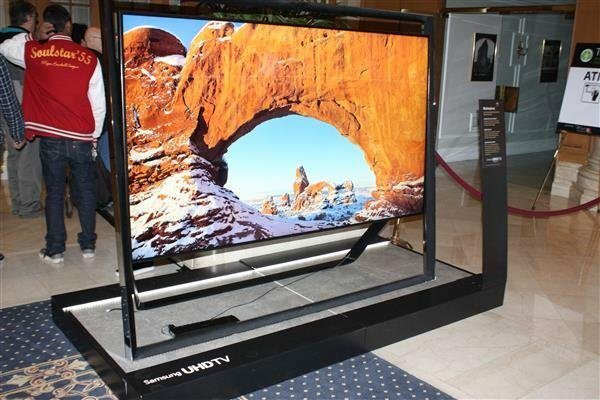 A 55” Ultra HD television was also on display – the UN55F9000 has a $4,199 sticker price and displays 4K resolution – 3840 X 2160 lines with about 8 million pixels, which produces about four-times the resolution of current 1080p sets. Using a proprietary integrated Quadmatic engine, all incoming video signal are upscaled to 3840 x 2160 resolution. Jeff Ingram from Samsung showed me some live Ulra HD footage he shot just before the show using a Samsung GALAXY Note 3 smart phone ($799). He downloaded this footage to a Samsung Book9 Plus laptop ($1,499) and was playing it on the 55” Ultra HD television. 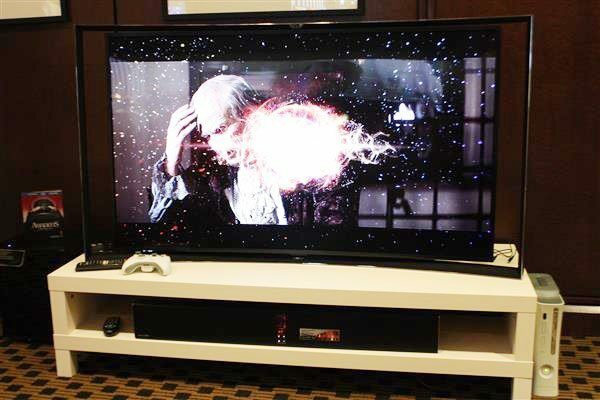 Samsung also produces 65” and 85” Ultra HD TV models – two of the 85″ TVs were on display in other prominent show locations. To say the least, the quality of the footage was spectacular – and without exaggerating, gave the feeling that you were truly watching the street outside through a window. 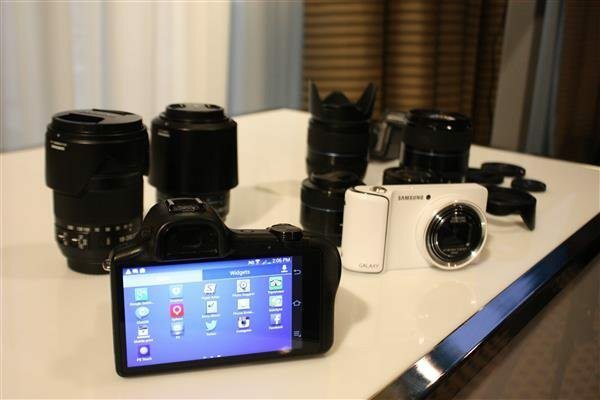 In the room was also Samsung’s GALAXY NX mirror-less, compact system camera ($1,699) with an 18-55mm lens. This 20.3 APSC CMOS system camera runs Android Jellybean 4.2 and shoots raw 1080p video. With an optional lens, it can shoot 3D video and stills. 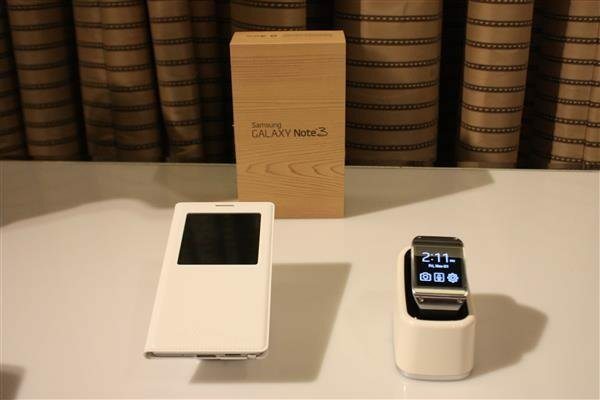 Last but certainly not least, I got to see Samsung’s first foray into wearable technology – their GALAXY Gear smart watch ($329), which connects via Bluetooth to the Note 3 smart phone. The GALAXY Gear can receive email / texts, has 4 Gigs of storage can run up to seven Gear apps. The future is here! 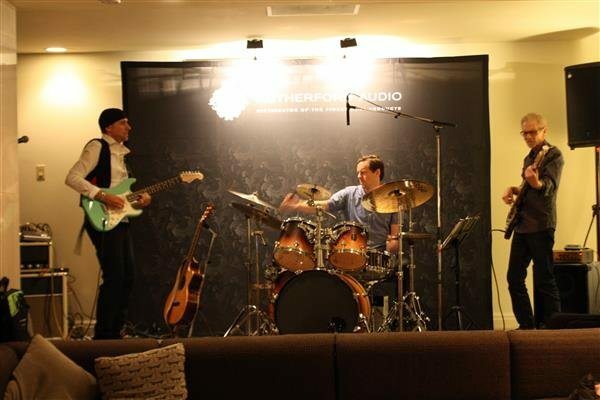 Rutherford Audio had a giant rock star suite up on the 9th floor, which not only hosted an immense amount of products but was also the venue for Toronto’s own Ray Montford Trio, who performed two out of the three show days. I was fortunate to catch The Ray Montford Trio (Ray Montford, Glenn Olive and Ben Riley) one afternoon. Being a Ray Montford fan (I’ve used his recording in a number of my product reviews), seeing them live was the icing on the cake of TAVES. The band played phenomenally and sounded great, within the walls of the suite. The audience reaction just helped to confirm my impressions. On the product side of things, in the back room of the suite was a very fine all-Burmester Top Line System. It consisted of the 089 CDP, the 088 Preamplifer, the 948 Power Cord, the 911 Amplifier, the 961 Mk III Loudspeakers in a custom carbon black metallic, the Burmester Rack also in custom carbon black metallic and loomed with Burmester Silver Cables. The system price totaled $144,750. I had some time with this system and found it to be extremely airy and finely resolving with a leaner and delicate presentation. 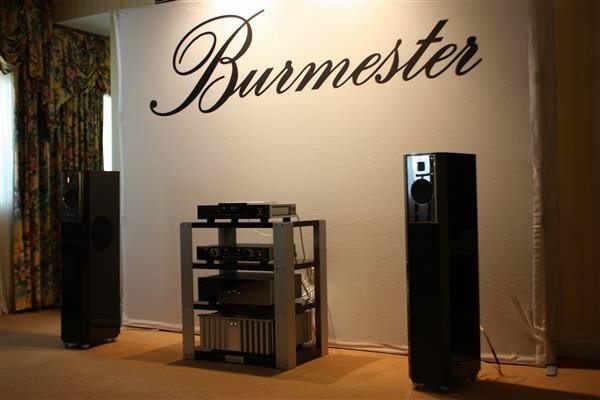 Also in this room on static display was an all-new Burmester 101 integrated amplifier priced at $12,000 (North American debut) offering 2 x 120-watts. Moving out into the main area, there was a not-yet-released wireless active ELAC speaker system (est. 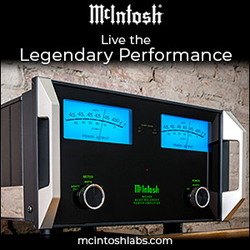 $4,000/pair), based on the FS-403 that utilizes a 3 x 75-watt Class A/B integrated amplifier, allowing for internal bi-amping and tri-amping in the case of a three-way speaker application. Another active speaker system came in the form of the ELAC sub/satellite Micro-Mini system that comes in black, white or silver ($2,499). Listening to the Micro-Mini, I was surprised by the rich and satisfying sound. Attracted by some wall-art, I was amazed to find it duplicated on the top face of a Roksan amplifier. What I was looking at was a Roksan Oxygene Integrated BT-Art Series amplifier with Bluetooth and touch sensitive aluminum that permits the user to adjust the volume with the touch of a finger. 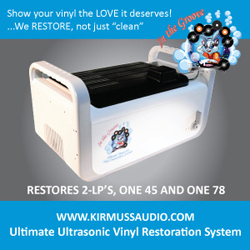 The Oxygene can produce 2 x 140-watts/channel and starts at $6,000 or $7,500 with customer chosen artwork applied. 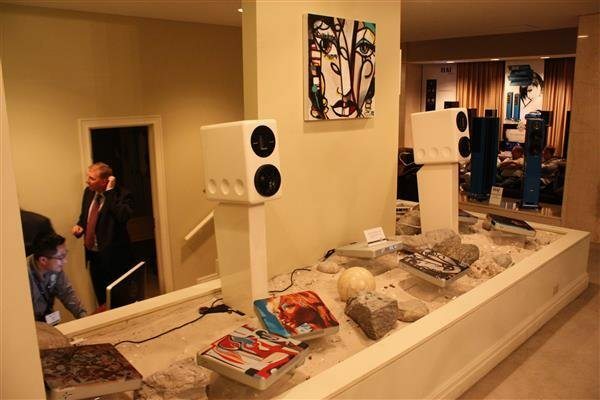 Connected to the Roksan Oxygene were Darius S1 standmount speakers (shown for the first time in Canada, $7,500/pair) with matching stands. 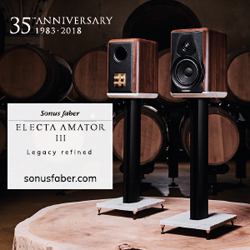 On static display were a number of ELAC 400 Series models, ranging from the BS-403 ($3,000/pair), up to the FS-409 ($9,000/pair), which are now all available in black, white and high-gloss walnut veneer, with other custom colours available at an added cost. 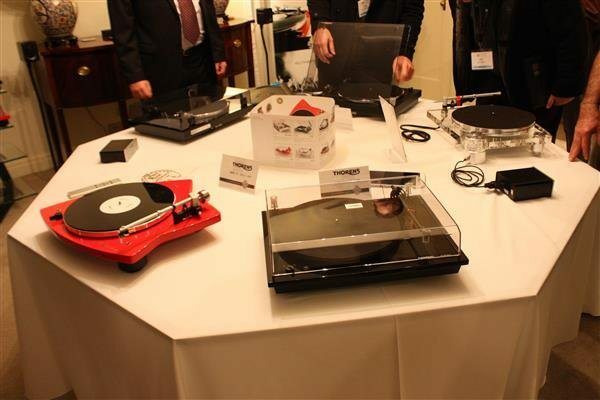 Also on static display was a wide range of Thorens turntables, ranging from the entry-level TD-240-2 ($1,100 including the cartridge) all the way to the TD-2035 ($5,599 to $8,999 depending on the choice of tonearm). To the side was the Thorens 309 setup with a Plinius KORU phono stage and a Hautonga integrated amplifier, strapped to a pair of ELAC FS249 speakers. There was also a gorgeous Plinius SA-103 amplifier ($10,150) in black on static display that I would have loved to hear in action. 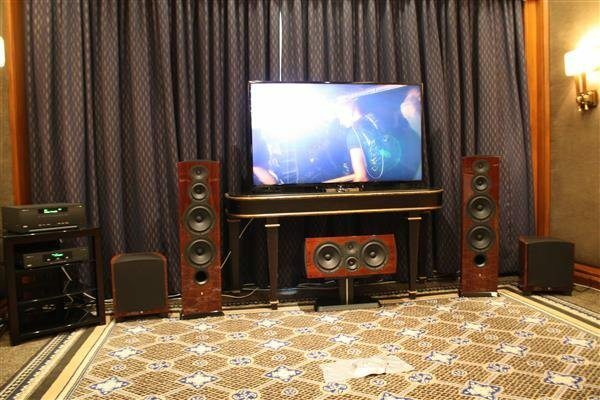 Anchored around a large 84” LG 4K display was an amazing set of ELAC 509 speakers in high gloss walnut ($18,000/pair) connected to a Primare SP33 AV preamplifier/processor ($6,000) and a 30.7 7-channel amplifier ($4,200) with a Primare DAC 30 ($3,000) and a BD 32 universal player ($6,000) or a NP30 network streamer ($3,800) as a source. Live Chris Botti footage on Blu-ray sounded and looked superb on this system. 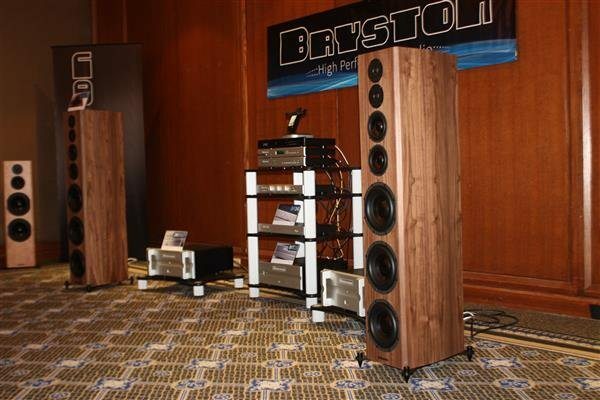 Walking into the Bryston room my ears took attention to the wonderful sound of the system that filled the large room that the Bryston gang has become all too familiar with – since this is where they have been all three years of TAVES. 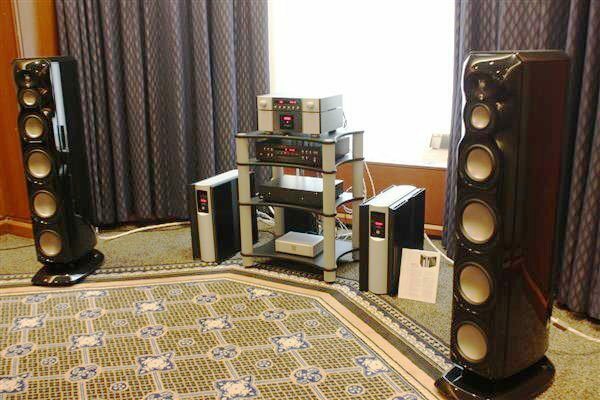 The sound from the all-Bryston setup could not be ignored. It was big, it was beautiful, it was smooth and it was effortless but definitely controlled. 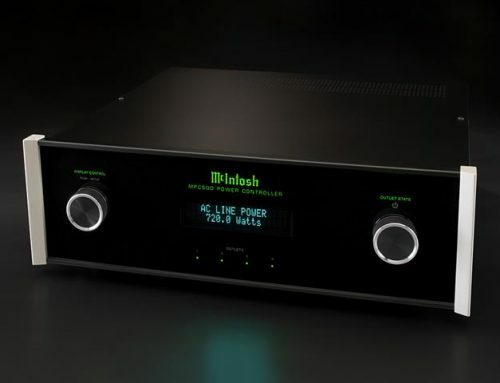 The system was made up of a BDP-2 digital player ($2,995), playing through a BDA-2 DAC ($2,395), controlled by a BP-26 Preamp ($2,995) with a MPS-2 power supply ($1,695), feeding a pair of 28B-SST2 1000-watt monoblock amplifiers ($9,600/each). All of this gear was connected to Bryston’s own Model T Passive loudspeakers ($6,495). 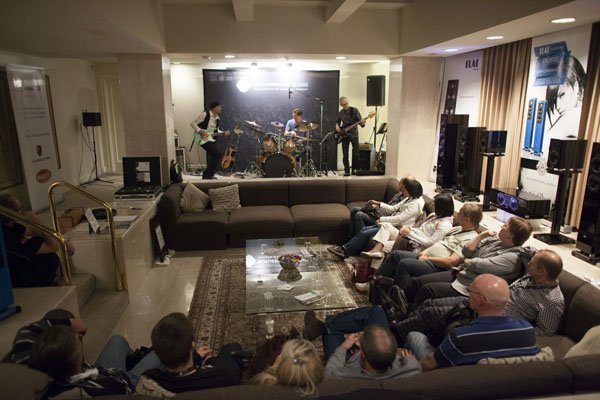 The room was full of Bryston products – from amplifiers, to headphone amplifiers, to speakers. A highlight in this room was the recently released Model A series of loudspeakers, which is a scaled down version of the Model T series. 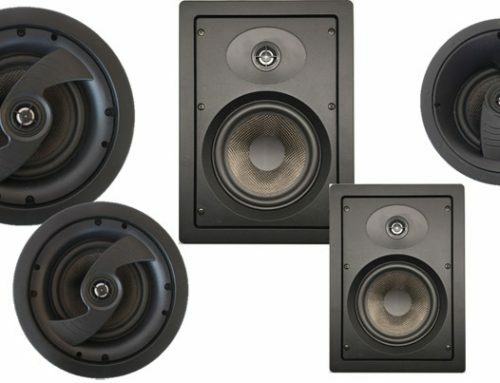 Smaller 6.5” bass drivers with 3” midrange drivers are the prime difference, together with slimmer and smaller cabinets. The A-series models have been designed with the same quality as the T-series but of smaller stature, resulting in a little less power handling and maximum output capability. 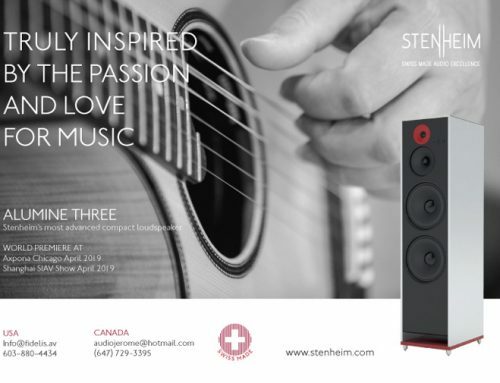 There are three tower speaker models: the A1 ($4,290/pair) is a 7-driver 3-way model; the A2 is a 6-driver 3-way model ($3,440); and the A3 is a 4-driver 3-way model ($2,950). In addition to the tower speakers, the new A-series sports a Mini A 3-way, 3-driver bookshelf speaker ($1,200) and an all-new A1 Centre for $1,400. The new series is a tonal match with the whole Bryston loudspeaker line-up, including their subwoofers, such as the T Sub ($4,195) or the new Mini T Sub ($2,995). 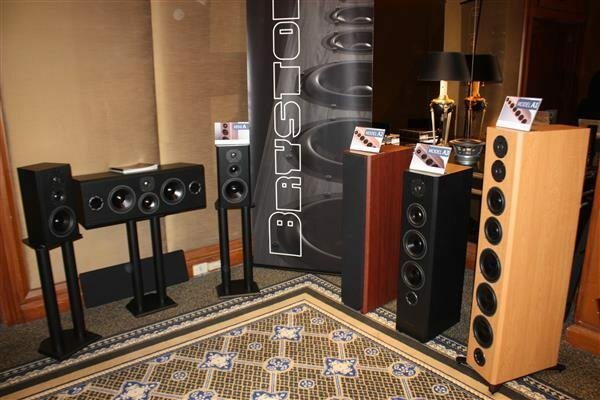 These speakers were so new at the time of the show that they weren’t even on the Bryston website. Within the Vanity ballroom on the second floor I found the AuDIYo Inc. display, among other exhibitors. 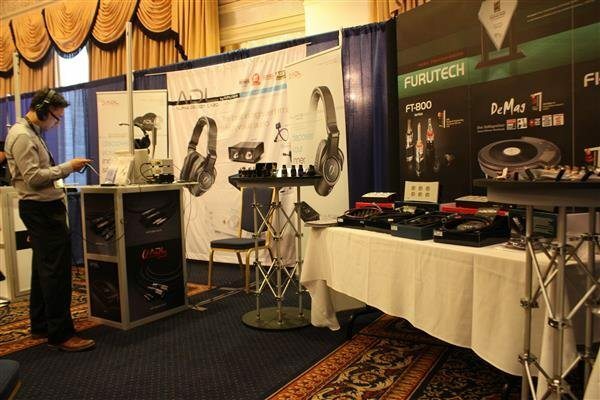 Featured in this booth was Furutech’s high-value line – Alpha Design Labs (ADL) and some of their latest products, including the ADL H-118 headphones ($269) that I reviewed recently for CANADA HiFi and is now part of my reference equipment, along with the Esprit USB DAC headphone amplifier ($869). I tried out the ADL-X1 portable headphone amplifier ($499), which incorporates a 24/192 USB DAC and i-Device digital output for lightning cable. The sound was rich, full and musical, with well-integrated detail. 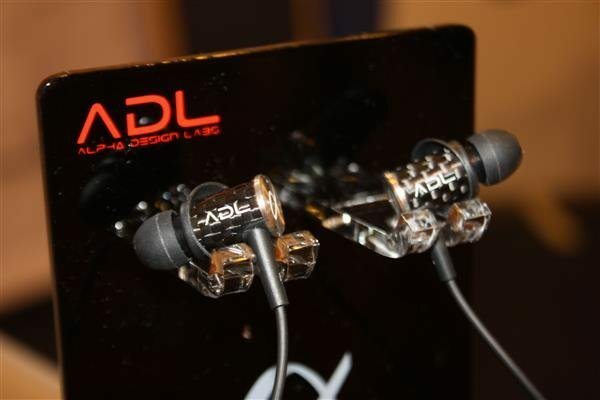 Also on display were the ADL-EH008 dual dynamic driver earphones (first Canadian demonstration of the prototype – price pending), which had real-bling appeal with their graphite and chrome finish – I can’t wait to get my hands on a pair for a listen. 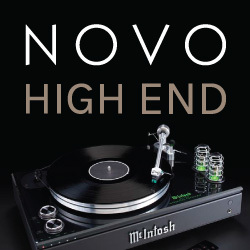 Along with the ADL products, AuDIYo also provides a full range of cables and parts for hobbyists including Furutech connectors, cables, and power distribution devices, along with Mundorf capacitors and 1877 cables, connectors and accessories.